Just a few days ago the Aria Casino announced a poker room in Phil Ivey’s name and now online poker room PokerStars has announced a new poker room named after a poker pro as well. PokerStars has introduced Daniel’s Room which is named after Daniel Negreanu. The new PokerStars room spotlights Daniel Negreanu and it will feature high states cash game tables. The new tables were introduced just two days ago and the room exists along with the other high stakes cash game tables in the lobby. All of the tables are No Limit hold’em and they are six max tables. The limits of the tables are $20/$40 with a $10 ante, $50/$100 with a $25 ante and $100/$200 with a $50 ante. PokerStars is planning on offering more limits and games in the future but in the meantime this is what is available. A table in Daniel’s Room will be marked with a small red icon that says DR on the left of the table name. This is how players can tell the difference in the tables. Each table has a minimum buy-in of 100BBs and a maximum of 250BBs. PokerStars has stated that the new room is ‘the ultimate test of poker skill’. However it has yet to be determined as to how these high stakes tables are different from other high stakes tables. There has been some talk of the tables leading to a seat on a PokerStars television series but that has yet to be determined. Fans of the game can observe and chat for free as the rails are open for the Daniel’s Room tables. 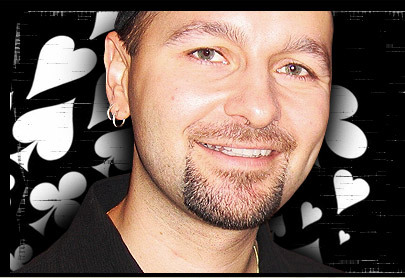 Daniel Negreanu has stated in several poker forums that he is interested in working on his cash game so the new room is the perfect opportunity for the pro to do so. No one is really sure as to why PokerStars created the new poker tables but players are sure to enjoy the new offering. And if the tables give players the opportunity to play with Daniel and earn a spot on a PokerStars television show then the tables are going to peak a lot of players interest. Only time will tell as to what the tables will do for poker players at PokerStars. It will definitely be interesting to see what PokerStars is going to offer. Other poker players have their own poker tables at online poker rooms. Full Tilt has several players who have their own branded poker tables. Phil Ivey has had his own tables for some time now and Full Tilt has also created tables for the durrrr challenge and Gus Hansen. We may see PokerStars add even more tables as they have many poker pros that would do well to have poker tables named after them. I would imagine if the Daniel Negreanu poker tables do well then the site will think about who they can highlight next.